V. Jean Owens is a native of Indiana, having grown up on a farm in Pike County, Indiana. He received his B.A. degree in Economics from the University of Evansville and his Juris Doctorate from Indiana University School of Law in 1962. He served as Judge Advocate in the United States Air Force from 1962 to 1965, at which time Mr. Owens joined the office of Chief Counsel for the Internal Revenue Service as a trial attorney in Jacksonville, Florida. While in Jacksonville, he served throughout the State of Florida until he was appointed as a staff assistant to the Miami District Counsel in 1972. In 1974, he returned from Miami to Jacksonville, where he became the District Counsel in charge of the litigation on behalf of the Internal Revenue Service in central Florida. In 1979, Mr. Owens was appointed Regional Counsel for the five state central region headquartered in Cincinnati, Ohio. In 1984, he was selected to become the Deputy Chief Counsel. This is the highest ranking career attorney with the Internal Revenue Service. He served in that capacity until 1986, when Mr. Owens became the Acting Chief Counsel during the absence of a Presidential appointee. Mr. Owens retired at the completion of twenty-five years of service in December, 1987, and returned to Florida to enter private practice. He practices out of the Sun City Center office of Owens Law Group, P.A. where he currently is meeting the business, corporate, and tax needs of clients. He has written two books for use with the lectures he conducts; "Effective Estate Planning and Administration in Florida", published by the Cambridge Institute of Vienna, Virginia and "Resolving Controversies with the IRS". He lectures extensively on tax and estate planning subjects. He is experienced in all facets of federal taxation and concentrates on estate planning and controversy work with the IRS. 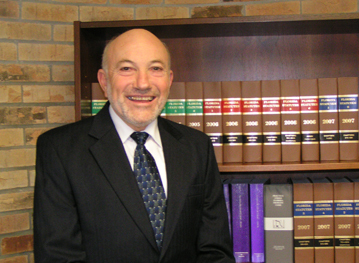 He is a member of the Tax Sections of the Florida, American, and Hillsborough County Bar Associations. He is past chairman of the Tax Section of the Pinellas County Bar Association, past President of the Tampa Bay Estate Planning Council, and is currently chairman of the Tax Section of the Hillsborough County Bar Association. Practice Areas: Representing Clients as well as before the IRS, Tax Court, and Federal Appellate Courts, in Income, Gift, and Estate Tax Planning.